It's not uncommon for smartphones to have a pair of cameras on their backs, in a number of different setups. 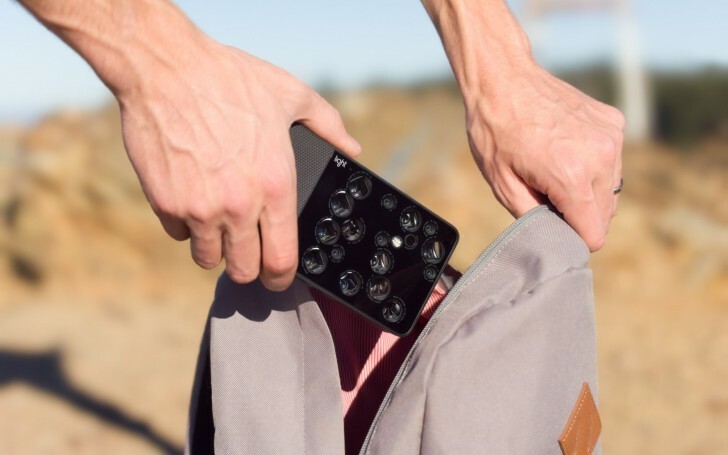 Well, the Light L16 camera is in fact 16 cameras with different sensors and lenses in one phablet-sized body (but no actual smartphone inside, mind you). Of course, with the appropriate algorithms that allow it to extract up to 52MP images while also offering 5x zoom and depth-of-field control. The news here, however, is that the product that's been 4 years in the making has now started shipping to customers who pre-ordered some 18 months ago. The company behind the Light L16 has announced in a blog post that the camera is finally fully ready and it's started sending out units to the patient early adopters. If you think, however, that this means you can order one now, you'd be disappointed to learn that the Light L16 will be available for purchase in late 2017. Where were you a year and a half ago? I think it looks like some kind of Sci-Fi Alien spider eyes!